It’s one of those nights where the internet is failing me. I’m bored and alone, and it’s late, and I need something to fascinate me. I need something to distract me from my boredom and loneliness, and remind me that my attention span has become sufficiently short that I shouldn’t ever really worry about anything that happens to be bumming me out at any given particularÂ moment. It’ll pass. It always does. It is Monday, my coffee is cold, the streets are filled with dirty slush, and, like my soul, #DavidBowie is dead. 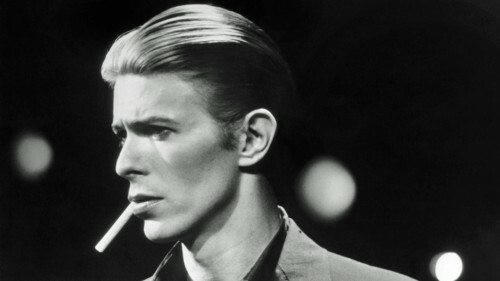 Of course, there’s plenty of David Bowie in my feed, and there has been for almost 24 hours now, and even CBC Radio One is still droning on about him in the background (as it has been doing since I work up this morning), but I’m already a little bummed, and I don’t need another reminder that there’s yet another reason to be bummed out about this realityÂ and what’s going on in the world today — especiallyÂ today, today. I need something to distract me from all that, to take me away, off into the ether of some strange subreddit or conspiracy theory that’s so surprisingly plausible that IÂ want to believe that it’s true — or evenÂ need it to be (like the one about how Donald Trump’s really just a saboteur plant for the clintons). Somewhere an Internet aphorist is sitting quietly at his desk. Thinking about writing ashes to ashes, dust to stardust. But not. Instead, it’s all Bowie, Bowie, Bowie, ashes to ashes, dust to stardust, and Major Tom just put the last of it up his nose.Â The party’s over, and the rest of us will realize it as soon as we all start coming down, and realize that Ziggy won’t be answering our texts for the rest of the nightÂ — or ever again, for that matter. One of my heroes is dead. And that’s it. He’s gone. There are no more days left for us to steal. And I’m too bored and stupid and lazy to write him a proper and fitting obituary. Maybe I should stick to wedding vows. Maybe I should stop plugging my older blog posts. The funny thing is that David Bowie was the soundtrack or the backdrop (or whatever the right word is) to a very pivotal time in my life. It was a good time in my life, and I remember it fondly. I could tell you all about it, but that would be self-indulgent, and I think I’ve done enough of that already. The point is that Bowie framed a lot of the those good times, and might’ve even been responsible for them. It was a magic time in my life, and now that he’s gone, there’s that much less magic in the world. It’s like having to grow, like Peter Pan, and realizing that you could’ve never really appreciated that magic while it was there becauseÂ you’d never know life without it before? But now you have to, so there you have it — for the rest of your life.